“VGB: How has your faith affected the way you make video games? Hall: That can be a difficult question to answer. My faith in Jesus Christ affects absolutely everything I do, so in that way my faith plays a huge role in making games. I tell people all the time that for me making games and serving God go hand in hand. The stories I write, art I make, games I design, etc. are all an expression of my faith in Christ and done for His glory. That being said, making games must be done professionally. A plumber can take care of your pipe problems because he knows about pipes (and may be able to jump extremely high and save princesses from castles). A Christian plumber does what he does to glorify God, but I’m certain you wouldn’t want him fixing your plumbing unless he was very skilled and learned at his job. In the video above, you’ll find our brand new interview alongside footage of his now complete game. Topics include the keys to KickStarter success, the viability of Itch.io as a game release platform, social media etiquette and more! 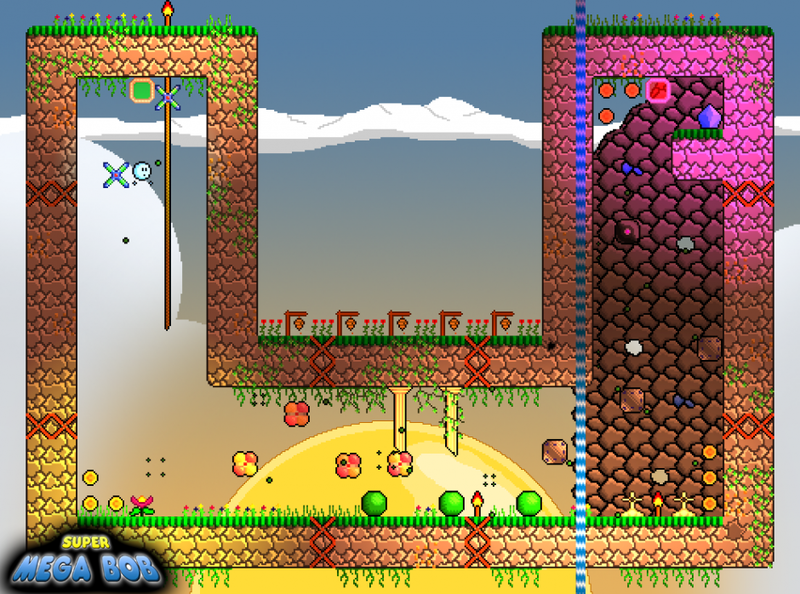 Support the developer by picking up Super Mega Bob on Desura/Itch.io, and voting on Steam Greenlight now! This entry was posted in Uncategorized and tagged becoming a game developer, Bible, breaking into the game industry, christian, christian gaming, Christian Kickstarters, christian review, christianity, Desura, faith, family-friendly, forgiveness, gaming, God, indie, indie game, Interview, Itch.io, Jesus, Kickstarter, KJV, nostalgia, PC, power, retro, review, shump, Steam Greenlight, success, Super Mega Bob, video game, video games and the Bible, Video Games and the Bible Highlights, videogame, videogames, Windows, XNA. Bookmark the permalink.